1st: Sogard flied out to center. 3rd: Sogard lined out to right. 5th: Sogard struck out swinging. 7th: Sogard grounded out to first, Phillips to third, Bandy to second. 9th: Sogard grounded out to first. 10th: Sogard grounded out to pitcher. 1st: Thames homered to right (411 feet). 3rd: Thames grounded out to second. 9th: Thames doubled to right. 11th: Thames struck out looking. 1st: Santana grounded out to shortstop. 3rd: Santana reached on infield single to third. 5th: Santana struck out swinging. 7th: Santana flied out to right. 9th: Santana singled to left, Thames scored. 11th: Santana struck out swinging. 1st: Shaw grounded out to second. 3rd: Shaw grounded out to second. 8th: Shaw singled to right. 9th: Shaw struck out swinging. 11th: Shaw grounded out to first. 2nd: Villar reached on infield single to shortstop. 4th: Villar singled to left. 6th: Villar grounded into double play, pitcher to shortstop to first, Shaw out at second. 8th: Aguilar flied out to left. 10th: Braun reached on infield single to third. 2nd: Pérez grounded out to pitcher, Villar to second. 4th: Pérez flied out to right. 6th: Pérez grounded out to first. 8th: Pérez walked, Shaw to second. 10th: Pérez bunted into fielder's choice to pitcher, Braun out at second. 2nd: Phillips flied out to left. 4th: Phillips struck out swinging. 7th: Phillips singled to right. 8th: Phillips struck out swinging. 10th: Phillips struck out looking. 2nd: Piña hit by pitch. 4th: Piña singled to center, Villar to third. 7th: Piña walked, Phillips to second. 8th: Bandy lined out to center. 10th: Bandy walked, Pérez to second. 2nd: Suter bunt popped out to third. 4th: Suter grounded out to shortstop. 7th: Arcia struck out swinging. 9th: Arcia flied out to center. 10th: Arcia singled to center, Pérez scored, Bandy to second. 1st: Fowler lined out to right. 3rd: Fowler lined out to center. 5th: Fowler hit by pitch, Wong to third, C. Martínez to second. 7th: Fowler walked, Garcia to second. 10th: Fowler grounded out to first. 1st: DeJong struck out looking. 3rd: DeJong popped out to third. 5th: DeJong popped out to shortstop. 7th: DeJong struck out swinging. 9th: DeJong struck out swinging. 11th: DeJong reached on infield single to third. 4th: Carpenter flied out to left. 6th: Carpenter reached on infield single to third. 7th: Carpenter flied out to center. 11th: Carpenter homered to right (353 feet), DeJong scored. 1st: Ozuna popped out to shortstop. 4th: Ozuna grounded out to third. 6th: Ozuna singled to shallow center, Carpenter to second. 7th: Ozuna struck out looking. 9th: Ozuna grounded into fielder's choice to shortstop, Carpenter out at second. 4th: Molina popped out to second. 6th: Molina flied out to left. 8th: Molina struck out swinging. 10th: Molina grounded out to shortstop. 2nd: Bader flied out to right. 5th: Bader lined out to second. 6th: Bader walked, Carpenter to third, Ozuna to second. 10th: Bader lined out to right. 2nd: Muñoz grounded out to second. 5th: Muñoz grounded out to shortstop. 6th: Muñoz walked, Carpenter scored, Ozuna to third, Bader to second. 3rd: Wong safe at first on error by first baseman Thames. 5th: Wong reached on bunt single to second. 6th: Wong grounded into double play, second to shortstop to first, Muñoz out at second. 10th: J. Martínez singled to right, Muñoz to third. 3rd: C. Martínez sacrificed to pitcher, Wong to second. 5th: C. Martínez singled to shallow left, Wong to second. 7th: Garcia reached on infield single to shortstop. 9th: Garcia sacrificed to first, Pham to second. 10th: Garcia singled to right, Muñoz scored, Weaver to second. Matt Carpenter hit a two-run home run with no outs in the 11th inning to lift the St. Louis Cardinals over the Milwaukee Brewers 5-3 on Tuesday night. 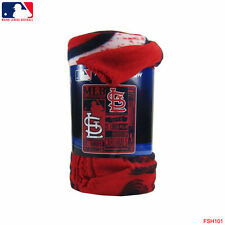 Brand New MLB St. Louis Cardinals Large Soft Fleece Throw Blanket 50" X 60"
While making great strides with its outreach programs, Major League Baseball still had a mixed year in diversity hiring. It will be a matchup of surging southpaw starters when the Arizona Diamondbacks and host Atlanta Braves open their three-game series Tuesday night.